Purchase a souvenir with a cause! .This unique design makes helping the street dogs easy...just purchase one for you and one for a friend as these make a great gift! 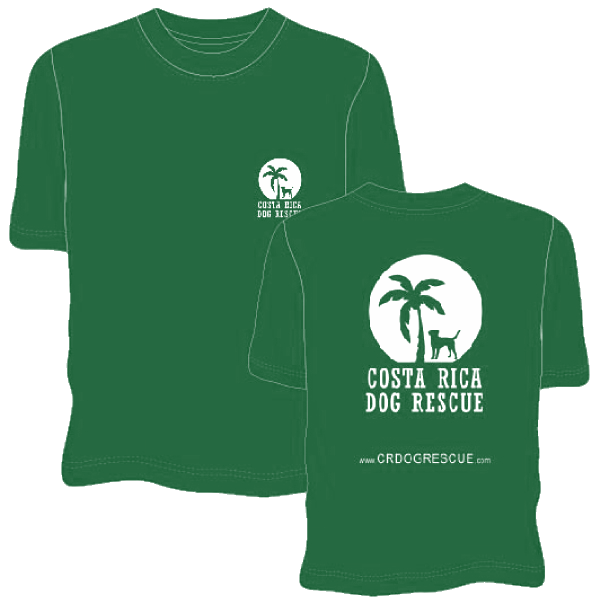 Each time you purchase an item 100% of the proceeds go to help the street dogs of La Fortuna live a better life! Available in, Small, Medium and Large. Available in Blue or Green. We ship to the US & Canada so please make sure to add that to your cart. ​One of our most costly up-keeps of the dogs is making sure they are all up to date with their shots, flee & teak medication and getting them fixed. Sometimes some dogs come to our shelter very sick needing severe treatments that are very expensive, so any donations towards our veterinary costs would be greatly appreciated and would help to save lives! ​Collars, beds, food bowls, shampoo & soap.